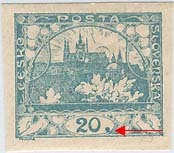 Hradčany 20 h value - Pofis 8. 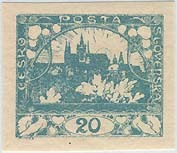 Hradčany 20 haléřů - Pofis 8. 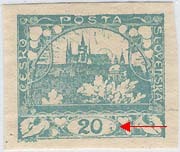 "A dot behind num. 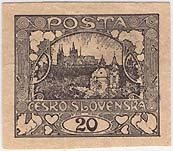 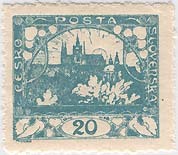 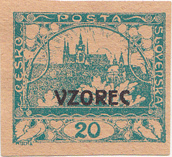 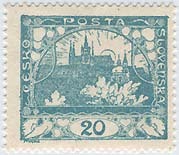 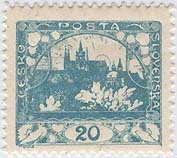 20"
Hradčany envelope of small format. 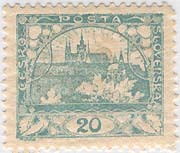 Franked Hradčany Pofis 8 - 20h and Pofis 5 - 10h (ZP 98 / TD II). 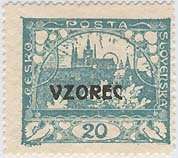 Posted from Kraslice 10.1.1920. 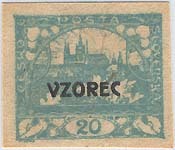 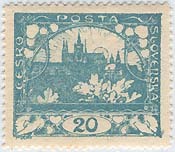 Frankovaná zepředu Pofis 8 a Pofis 5 (ZP 98 / TD II), Kraslice 10.1.1920.